Mechanicsburg Rotary students for the month of January were introduced on January 9th and were interviewed by Patrick Wolfkill. 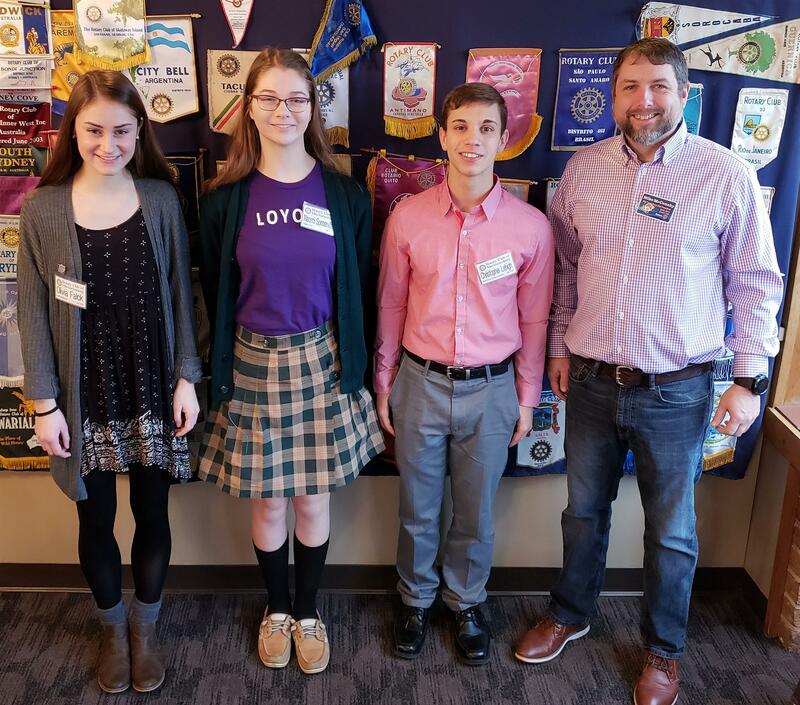 1/9/2019 - Pictured above (left to right): Olivia Falck, Northern High School; Naomi Somerville, Trinity High School; Christopher Lehigh, West Shore Christian Academy; and Mike McConahy, Club President. Not pictured: Shelby Nebel, Mechanicsburg High School; Chloe White, Cumberland Perry AVTS; and Leah Sulonen, Messiah College. Leah is traveling this month but was able to join us in December and was featured in this story. The Rotary Club invites students from six schools to attend club meetings for a month during the school year. Each month a new group of students is invited. At the end of the school year, the club awards $2,000 scholarships to a student from each school based on an application which they submit and the interactions that occur at the meetings. Students who continue their education in Pennsylvania also have an opportunity to receive a $2,000 matching grant from PHEAA (Pennsylvania Higher Education Assistance Agency) based on need.